Trent Country Park lies in 413 acres of rolling meadows, enchanting brooks, exquisite lakes, ancient woodland, and imposing historical sites. 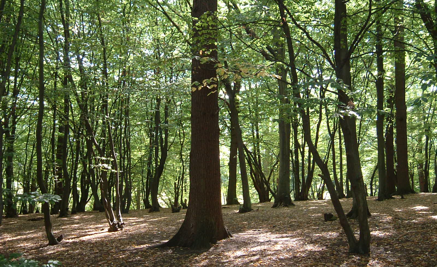 It forms part of London's Green Belt and being a country park it provides a natural, rural and tranquil atmosphere right on the outskirts of London on the borders of Enfield. Rarity and distinctiveness lend the landscape an unusual beauty. Visitors can enjoy large open spaces for walking, jogging, cycling, horse riding, golfing or just chilling out in serene, bucolic and picturesque surroundings. The magnificent stretches of Trent Country Park incorporate the wooded remnants of Enfield Chase, former royal hunting ground. Muntjac deer, rabbits, pheasants are nowadays the proud inhabitants of the park, and if you are very lucky you can catch a glimpse of them roaming over their land. A haven for wildlife and humans alike: countryside, farmland, a golf course and an equestrian centre. And miles and miles of relaxing walks amidst serene fields and enchanting woodland.